Over the last year, we have seen dramatic changes in my TBP. Physically, he is much taller and is often in danger of wearing “high water” pants due to his sudden growth spurts. He is well over my shoulder in height and appears to be quickly transforming into a “Man Child.” These outward changes are noticeable, but the more important changes are not as obvious…until you stop and listen. One of the characteristics that I am happy to see, is my son’s ability to be self-reflective. He is becoming aware of strategies that calm his mind and body. When school days were the most unpredictable, I used to search for items that might provide sensory feedback during the challenging times. Many “test runs” were not well received and would be tossed aside. At one point, I brought home a squishy brain toy. After a challenging afternoon, I brought it out and demonstrated how some kids feel better when they squeeze it and take deep breaths. He was only half-way aware of my words and seemed less than impressed with my suggestion. “Well…I will leave it on the cabinet and maybe you will want to try it out sometime.” Eventually, the brain was hidden by Lego creations, drawing books, and papers covered with cheat codes to his favorite video games. I forgot about the brain…until this week. I know these words aren’t exciting to most, but if you were in our house…you would realize that those very words sounded like angels singing from above! Later on, I shared how impressed I was with his self-awareness. I explained that many people probably haven’t figured out what helps them calm their mind and body. I told him that this was a strength that he could use for the rest of his life during challenges. He seemed surprised at this news, but eventually accepted the compliment and moved on. This serves as a great reminder to me, that when I am feeling stressed….instead of reaching for that peanut butter cup or triple grande latte, perhaps I should try to give that brain a good squeeze! I love when they start putting those things together!! It is so validating and it serves as a reminder that all the sleepless nights of coming up with ideas is really worth it!! It’s amazing to see how kids respond to suggestions and learn to become problem solvers. Excellent!!! I love stories like this!! Kathy-I am so glad that this post spoke to you! It is exciting when they start to ” get it” but I have to say…the controlling, impatient side of me wishes that he would get it sooner than later. 🙂 This is proof to me that I can’t push it! Hi! 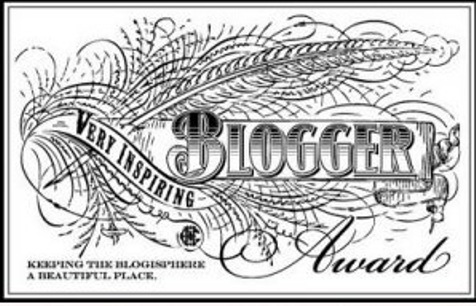 Just wanted to let you know I nominated your blog for a Liebster Award because I truly enjoy reading your posts! There are some “rules” to follow upon receiving this award, so if you are interested in responding, please refer to the link below. Otherwise, keep up the good work and thank you for sharing a little bit of your life with me!